Over several posts I have shared King 5 news investigators reports on “Last of the Institutions”. This hard hitting and truthful series pointed out Washington State’s archaic practice of institutionalizing individuals with intellectual and developmental disabilities. Advocates for inclusive communities have been waving the banner for years to close the institutions pointing out all the advantages of individual rights of living, working, shopping, worshiping in the community. While unfortunate a legal avenue is taken to advance this over strong executive leadership in our government, it is positive that movement is moving forward. A lawsuit filed Tuesday seeks to force Washington State to speed up the transition of adults with developmental disabilities from institutional settings to homes in the community. Disability Rights Washington (DRW), a nonprofit with the mission of supporting persons with disabilities, filed the suit in U.S. District court. It asks the Department of Social and Health Services (DSHS) and the state’s Health Care Authority to develop plans and procedures to move people out of institutions who have been identified as able to do so and have expressed that they would like to move into regular neighborhoods with appropriate support and care. “Defendants have no effectively working plan to ensure that Plaintiffs….will avoid institutionalization. This failure violates their rights under Title II of the Americans with Disabilities Act,” wrote attorneys for DRW in the complaint. DRW attorneys said they filed the suit after conducting an eight-month investigation. 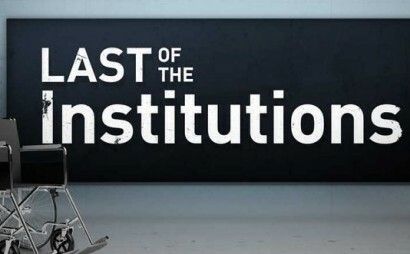 They also cited the public awareness of the issue brought about by the KING 5 series “Last of the Institutions,” an investigative series that explored why Washington has failed to follow the lead of many other states in closing its state-run institutions for disabled adults. “We know that living in an institution is not the same as living in the community and people have a right to live in the community when they want to. So this is about people’s choice of where they want to be, how they want to spend their days,” said Sarah Eaton, lead attorney on the case for DRW. According to the suit, 91 people have been identified in the state as either wanting to leave an institutional setting or they are at great risk of becoming institutionalized because of the state’s inability to support their transition to the community. DSHS contracts with vendors that operate supported living housing, set up specifically for people with high needs, such as those waiting to move out. Currently, the state does not have enough staffing or resources to meet the demand. A spokesperson for DSHS said the agency is doing everything it can to help people transition into the community but a current lack of staffing is challenging. Johanna Pratt, 32, is one of those people. She has intellectual and emotional disabilities, but she doesn’t want that to keep her from living in the community. Pratt has been living at the Rainier School for four years while waiting for a community placement with enough staff to meet her needs. She is one of the named plaintiffs in the class action lawsuit. Washington’s four institutions are: the Rainier School in Buckley, Lakeland Village in Spokane, Fircrest in Shoreline and the Yakima Valley School in Selah. Approximately 800 people reside in them. Only a handful of states operate more than four institutions, including Texas, New York, Arkansas, Mississippi and Illinois. Washington’s practice bucks a decades-long trend to stop the segregation of people with developmental and intellectual disabilities. In all, 16 states have closed all of their large facilities for the developmentally disabled, including Oregon, Hawaii, Alaska, New Mexico and Oklahoma. These states are serving this entire population in community settings. Many live in homes with two to three residents and full time staff to meet their needs. Several agencies in the Northwest offer an array of support services, such as assisting with medical needs, transportation and job coaching. Two more states, California and Georgia, have announced concrete plans to close the remainder of their institutions. DRW in its complaint asks a federal judge to declare that the defendants have violated the Americans with Disabilities Act. “(We ask that the court) Declare that the Defendants’ failure to implement an adequate system of ensuring the choice of integrated community based services results in unnecessary segregation and institutionalization of Plaintiffs and the class, or places them at risk of unnecessary institutionalization, and violated the Title II of the ADA,” wrote the attorneys. The filing of the complaint came after an exchange of correspondence between DRW and the two state agencies. On July 20, DRW wrote a letter to DSHS and the Health Care Authority that laid out their findings and requested a meeting to “engage in structured negotiation to reach an agreement to…actually ensure …services are reliably available to all individuals who need supported living to avoid segregation and institutionalization”. On Monday, top officials from DSHS and the Health Care Authority responded by offering to meet for “discussion purposes”…but not to engage in “settlement discussions”. The agency directors said they disagreed with DRW’s allegations. “We also find the legal conclusions contained in your letter and your request for settlement discussions concerning and premature given we have not been engaged in a discussion about your concerns,” wrote Patricia Lashway, Acting Secretary of DSHS, and Dorothy Teeter, Director of the Health Care Authority. Johanna Pratt hopes the lawsuit will help her to move into the community and pursue her dreams that include swimming, playing softball, getting trained to work at a job with animals, and visiting her friends when she wants to. “I’m trying every day to think positive. Every day I wake up and (think) ‘Oh, no I won’t be able to get out of here’. I don’t want to be here anymore, it’s frustrating,” said Pratt. The state has 21 days to respond to the complaint. The agencies could state their defenses, move to dismiss the lawsuit, or engage in settlement discussions.